Boost the shape and meaning of your facial expression and permit your natural splendor to stand out. Acquire a refined appearance of chic simplicity and easy perfection. Probably the most advanced devices are used to be sure the quality and safety from the procedure. 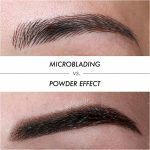 Eyebrow Microblading (also referred to as 3D Eyebrows, microstroking, hair-like pigments strokes) is a type of semi-permanent makeup that gives a simulated hair-effect appearance onto the skin, allowing the preferred shape and fullness of the eyebrows. It makes sense natural, perfect, larger searching brow strokes. A specifically designed selection of liquid perfection colours enables us to produce a perfect shade to boost the color of the eyes as well as your natural facial expression. The ultimate effect last from 18 several weeks to two years and could be completed in under 2 hrs. Do you experience feeling that the lips are extremely thin, asymmetrical or just not defined enough? 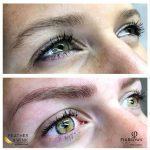 Then SEMI-PERMANENT Makeup is a perfect way to acquire a preferred shape, restore fullness and obtain a perfect definition. Weather it’s an all natural or perhaps a vivid colour you’re after, the achieved outcome is guaranteed for 12 several weeks of carefree refined look. 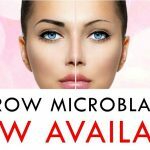 Book your FREE CONSULTATION along with a PATCH TEST now or call 21 370 194 for more information. 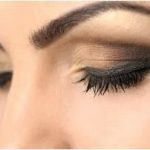 Watch our short video below to determine the procedure made by Myoka’s Semi-permanent Makeup Expert. Call today 21 370 194 for more information. 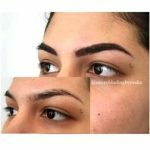 Semi-permanent Makeup. Perfect lips within a lunch hour.